- Baguette cut pendant: 3x5mm. - Adjustable chain: from 40 to 42 cm. 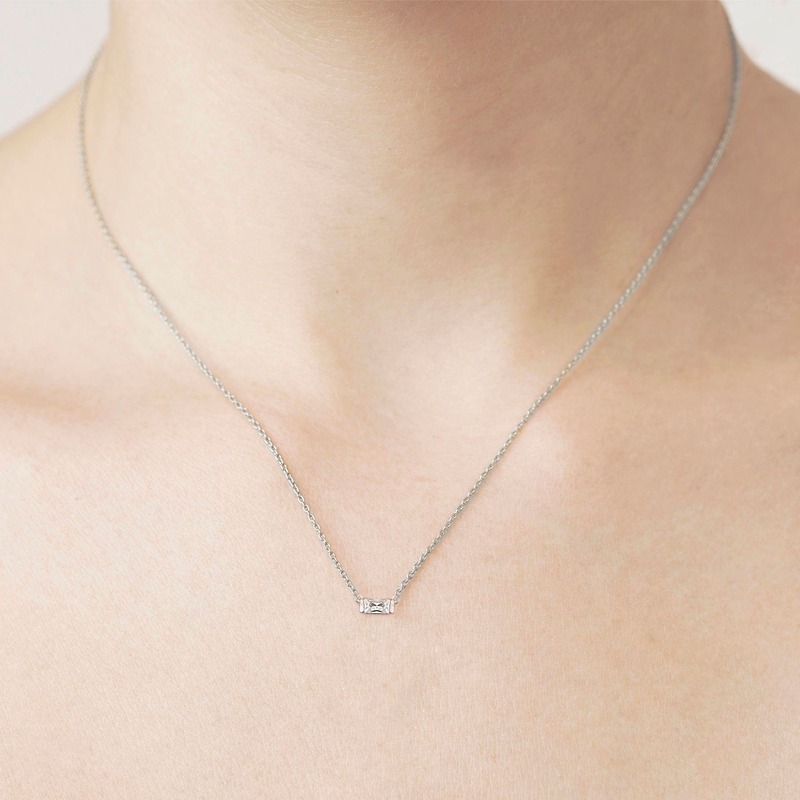 - Our baguette-shaped pendant is a classic design. 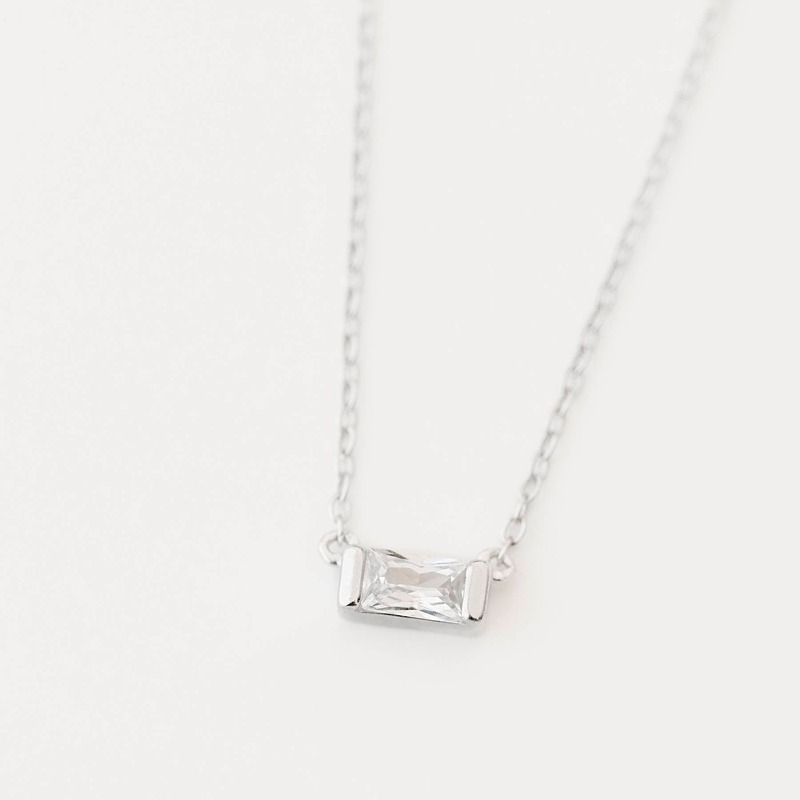 - Its small and rectangular size sits high on the neck, making it ideal for combining with other, longer pieces. - Pair it with our other necklaces for women to create an individual, fashionable style of your own. 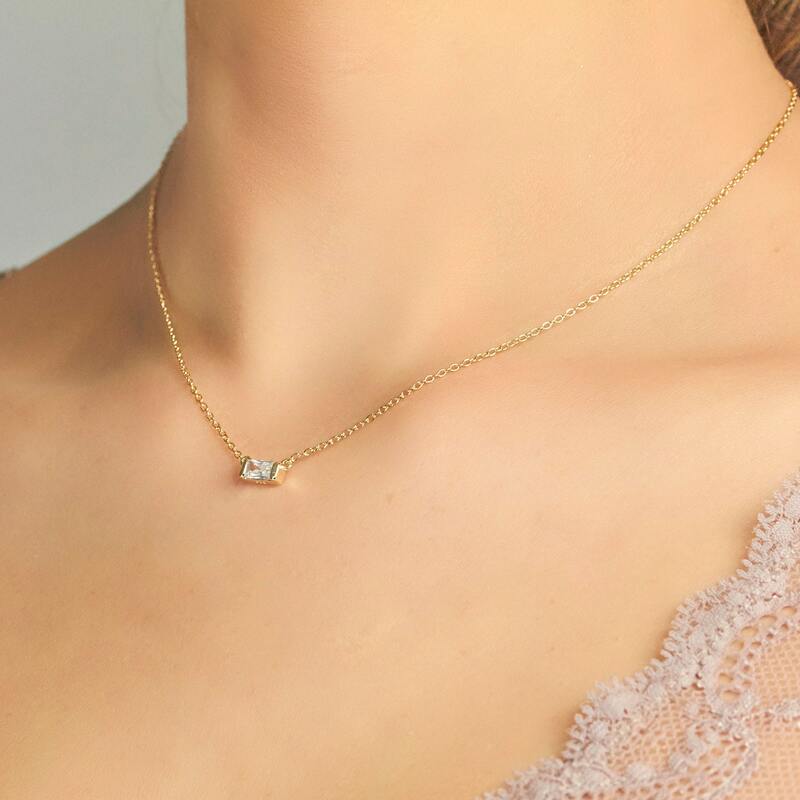 I really love this necklace.......it looks like a 'real diamond' but isn't and that's just fine with me in other words, very high quality design. Thank you !